The 51st Grammy Awards just concluded. I missed watching the show and would just watch it as soon as it is available online. 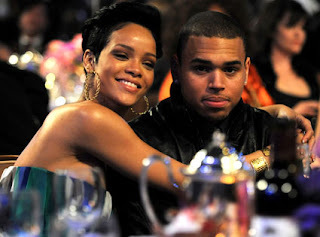 Rihanna and rumored boyfriend Chris Brown was no show in the 51st Grammy Awards. Chris Brown was supposed to perform "Forever" while Rihanna should have performed "Disturbia" and "Live Your Life." Before the Grammy Awards started, Rihanna and Chris Brown canceled their performance. This was the incident. After the Clive Davis' annual pre-Grammy bash, the couple was involved in an argument. The two got out of the car and the argument escalated. Rihanna suffered from visible injuries from the face. She then called 911. E! was the only entertainment source that identified Rihanna as the lady victim of Chris Brown. Chris Brown turned himself down in the LAPD's Wilshire station around 6:30 P.M. and actedvery professional. He was then released after he bailed $50,000. Chris Brown was booked on suspicion of making criminal threats, which has a maximum penalty of four years imprisonment. Chris Brown will be arraigned on March 1, 2009. Let's just wait and see on what will happen in the coming days. Chris Brown and Rihanna failed to win any Grammy Awards this year. What a shame! What a real BIG shame! They can be the richest, most famous, most admired or any most for that matter individuals but still, they don't get the finess that they need and they are really without culture if these rumors are true. they looked like lovely couple there.